I will be the first to tell you that you should leave the camer apps off the blog. I will be the first to tell you that I break that rule all the time. The good think about the no apps rule is if you know how to break it well, you don't have to worry. As with most blogging 'rules' nothing is written in stone. The main goal of this 'rule' is to remind you that quality photos go a lot farther than overly filtered phone photos. After all, the best kind of camera is the one you have with you...so I actually encourage you to use your phone, especially if you have a smart phone. Having a pretty decent camera in your pocket at all times can actually help you become a better photographer, not just a better iphoneographer. You can see that I already started out with good lighting & a good composition. Make sure you start off on the right foot because you'll make a good picture great. Open up Camera+ & hit film strip in the lower left hand corner of the screen. This will bring you to the lightbox where you can hit the + at the top right to add your photos. 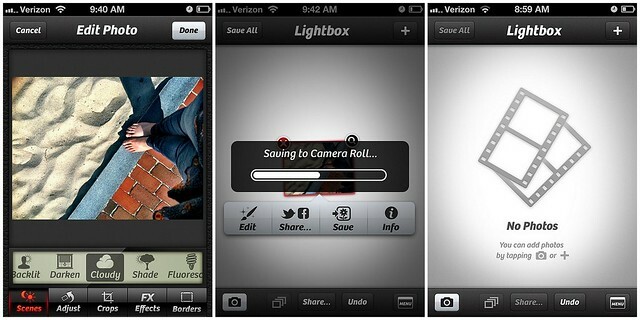 Add a photo from your camera roll, select it in the light box, & select edit. You'll be brought to a scree where the first edit is scenes. There are a ton of edits you can do to make your photos toy like, but to give them the best quality I suggest sticking with the scenes part of the app. These scenes are sort of like different actions to apply to your photo for color boost, white balance, etc. 9 times out of 10 the first scene I pick is Clarity. Clarity is good for boosting texture, highlights, & color in a picture like this. Clarity doesn't work too well on busy photos or portraits. On portraits, Clarity will enhance any imperfections in the skin & it doesn't look good! 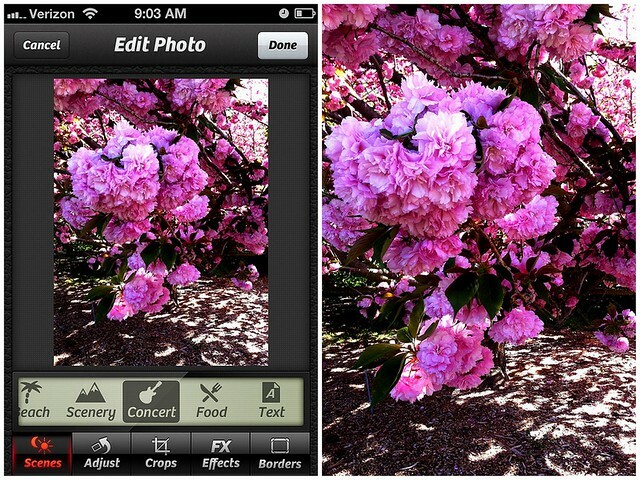 In order to apply more scenes to you photo, commit your edits by hitting done in the top right corner. When you're taken back to the lightbox, hold down the save button until a screen appears with Commit Edits as an option. Select that in order to layer more scenes on top. You only have to do this step if you want to layer more effects of the same category on the photo (more scenes, more effects, etc). For most pictures, Clarity is enough to make you photo blog worthy. 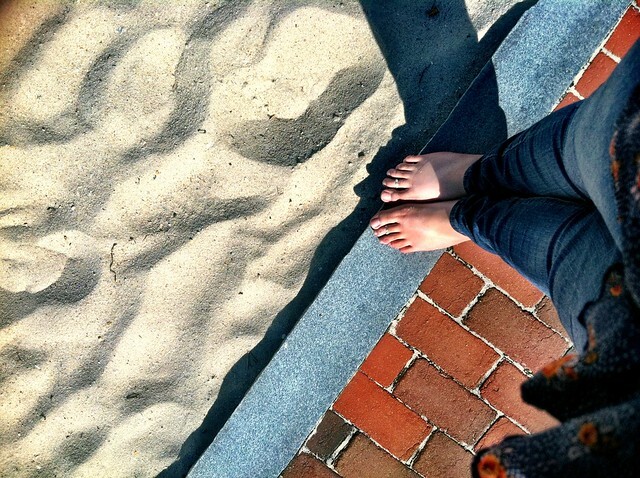 For this example though I really wanted to give the sand more color so I Committed Edits & chose another scene, Cloudy. Once you've completed all of your edits, select Done. 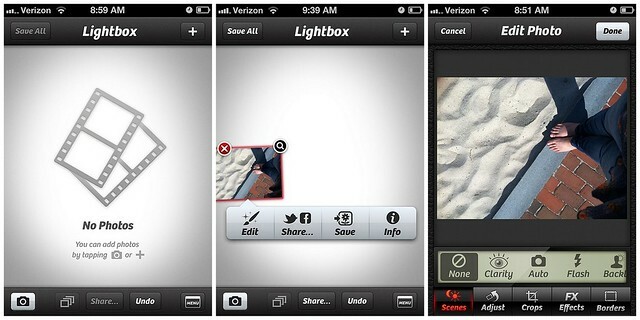 Click save on the lightbox to save to your camera roll to remove the image from the light box. This is an example of a photo that wouldn't benefit from the Clarity effect. Busy photos become too overwhelming & a bit flattened when this scene is applied. The great part about this app is there is a scene for everything & experimentation yields awesome results. For example, this image above is not of a concert, but the Concert scene is the best for this image. Do you like how I'm sneaking in a Boost Your Blog post under a Make it Monday post? I do! Check out some of my post that I've used this app for here, here, & here (some are more toy than others!). 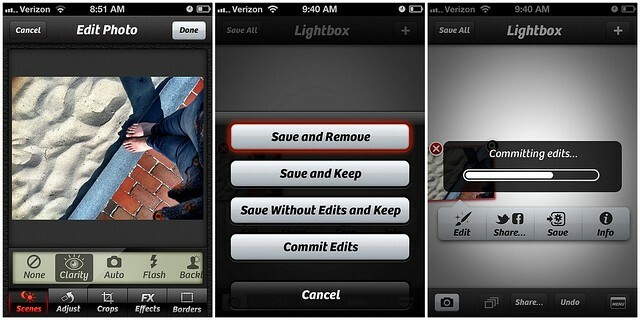 What apps do you use to get your photos from your phone to your blog? Any pro tips you can share? Make it Monday is a weekly feature on Five Sixteenths dedicated to showcasing some DIY fun & inspiration. If you'd like to see more DIY posts, clickhere! I totally disagree! I think filtered phone photos are awesome! I mean, that's what Instagram is: filtered photos from a phone! Instagram and Disposable all the way! I love filtered photos, don't get me wrong! I am an instagramming machine! Sometimes I share them on the blog but for the most part I want to represent my life how it really looks :) :) I guess it's a matter of personal preference, so go for what you love! To a point I hate instagram because it makes everyone's photographs look the same. I want photographs to be challenging and different. I don't have a fancy phone so all my photographs are from cameras, and yes I do play with editing a little it picasa/picnik but its just enhancing what is already there. Enhancing what is already there is important! Using those tools makes your camera photos makes good photos look awesome. I also use camera plus...it's definitely one of my favorite apps :) That being said...I also love instagram. Mostly, it's fun to snap photos and see what my friends are up to rather than using them on my blog. Thanks for posting this..I have not been using this app to it's full potential. LOVe camera+ but I actually end up using the default camera on my iphone the most. I love the ability to reach it without logging into my iPhone. it's great for catching funny moments with the kid or the dog.